Schalke humiliated Hamburg 3-0 in the first post-Christmas round of German Bundesliga games and the Gelsenkirchen side is over the odds at 2.10 with Paddy Power.com to extend its home winning run to four matches with a victory over Wolfsburg at the Veltins-Arena. Klaas Jan Huntelaar marked his first match back from five months out with Schalke’s opening goal in Hamburg and, while the home team did not have any luck on the injury front, any 3-0 away victory is worth celebrating. Schalke is a strong proposition at the Veltins-Arena, with its only two losses coming at the feet of Bayern Munchen and Dortmund. Schalke sweeps aside most visitors to its Veltins-Arena fortress where phenomenal supporters back the Royal Blues. Wolfsburg resumed its German Bundesliga campaign in the worst possible fashion, losing 1-3 at home to Lower Saxony rival Hannover. Wolfsburg is undefeated in its last five German Bundesliga games – three wins and two draws – but the Volkswagen-bankrolled side have had a soft road schedule in recent times, travelling to Augsburg, Frankfurt, Freiburg, Monchengladbach and Nurnberg since losing 0-1 at Bayern Munchen in late September. It gets tough again this weekend. Admittedly, Wolfsburg bounced back from the disappointment of losing 0-2 at Hannover earlier this season with a 4-0 home victory over Schalke but the Royal Blues made a poor start to its campaign and, given that they are odds against on Saturday, one is willing to overlook that head to head. Hamburg’s problems, touched upon in one’s Schalke synopsis, are such that the Red Shorts are worth opposing for their German Bundesliga match away to Hoffenheim. Coral is offering odds of 2.15 that Hoffenheim beats Hamburg. Already beset by injuries, Hamburg had to make two early substitutions against Schalke. Pierre-Michel Lasogga went off with an ankle problem and Lam Zhi Gin joined him on the treatment table inside the opening half hour. Hamburg has copped several hidings away from home this term and it has kept only two clean sheets in its nine German Bundesliga road games. For example, Hamburg lost 3-6 at Dortmund and it went down 3-5 at Leverkusen. Thirteenth-placed Hoffenheim will not get a better opportunity to improve its home record, which does not read well for a team that has registered 20 goals in nine matches – more than any side outside the four teams in the UEFA Champions League spots. 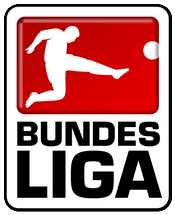 Finally, the German Bundesliga game between Hoffenheim and Hamburg pitches together the division’s most entertaining sides so goal-related bets should be of interest. Hoffenheim has scored 36 goals and conceded 42 goals in its 18 matches for an average of 4.33 goals per game. 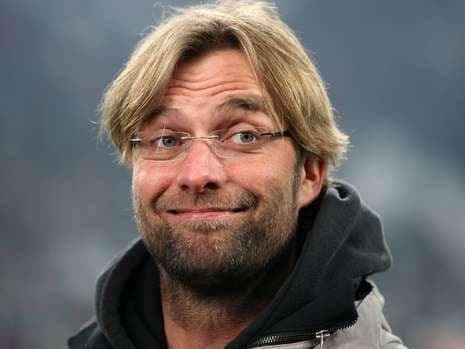 Incredibly, 16 of Hoffenheim’s 18 matches have gone over two and a half goals. And Hamburg’s goals-to-games ratio is the elite’s second best. Hamburg has scored 33 goals and conceded 41 goals in its 18 matches for an average of 4.11 goals per game. An impressive 13 of Hamburg’s 18 matches have gone over two and a half goals. Paddy Power and Stan James are offering odds of 1.57 that Hoffenheim and Hamburg combine for more than two and a half goals, while the same bookmakers are quoting odds of 1.50 about both teams getting on the scoresheet. Over three and a half goals in the German Bundesliga game between Hoffenheim and Hamburg is trading at odds of 2.50 with Sportingbet. This bet has paid off in 11 of Hoffenheim’s 18 matches and, also, 11 of Hamburg’s 18 matches. A percentage of 61.1 equates to odds of 1.64 so there is clear statistical value in the odds of 2.50. And it does not hurt one’s arguments that Hoffenheim beat Hamburg 5-1 in the reverse German Bundesliga fixture in August.